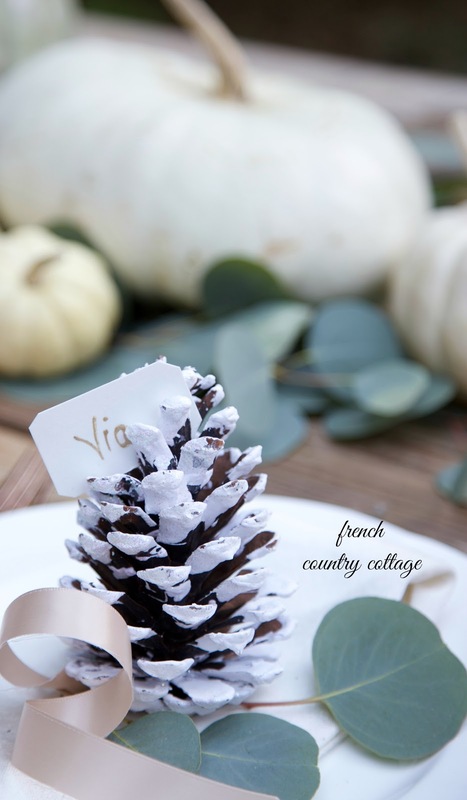 5 favorite simple & easy holiday place setting ideas - Can you believe that Thanksgiving is next week? As in... next. week. How did that happen already? Can you believe that Thanksgiving is next week? How did that happen already? and the food and pretty tables to linger at while you enjoy play a part. And it is also one of those times when it is busy busy busy. you just don't need a big project in order to make your table pretty. You need charming AND simple. 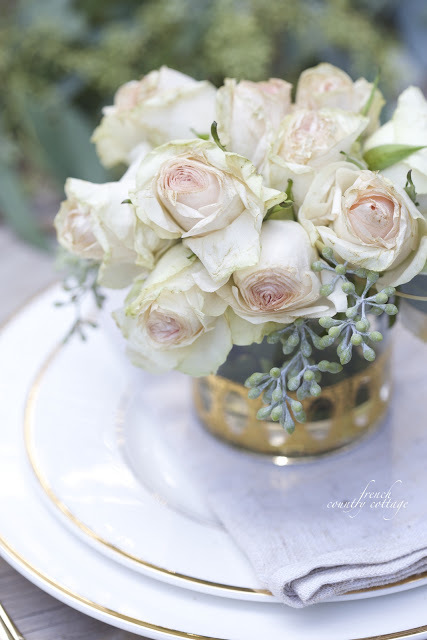 A pretty glass filled with pretty flowers is a simple, elegant and easy idea. or tie it with a piece of jute to one of the flower stems. Such a simple fun way to add a little charm to your table. 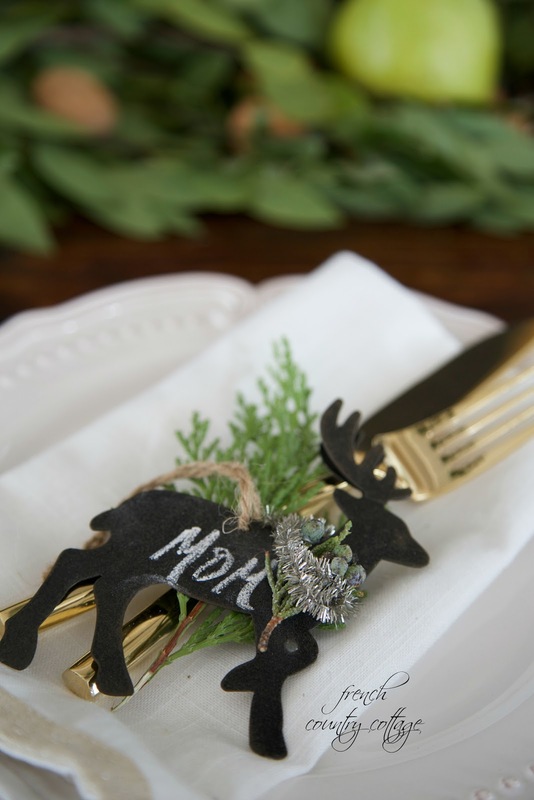 These reindeer ornaments were the perfect style and size for a coat of chalkboard paint. Just look for something similar- and make your own. Those little frames found at the dollar store? and call it gorgeously good. 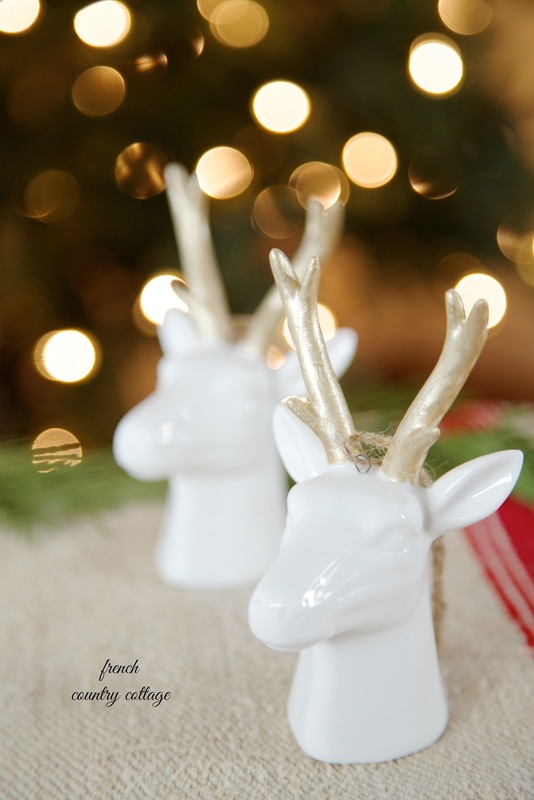 I bought these little reindeer ornaments- and painted their antlers gold for a glam touch. Then simply add a name tag to their antlers and voila. One of my favorites- and so simple to do if you want something at the last minute. for your holiday parties and get togethers. let me know and I will see what I can do with them. No I can't quite believe it! Thank you for reminding me to get in gear. I've got 23 guests coming and I'm reading blogs. Uh-oh!!! Oh that chalkboard reindeer is the sweetest! Still planning Thanksgiving table but i'll keep this in mind for Christmas!